"I'd always been interested in the tactical side of the game." A football coach has landed a coaching job owed, in part, to a childhood passion for management sims. Shaun Guest, originally from Lancashire, England, but now residing in Enniskillen, Northern Ireland, manages Strule United after studying sports management with coaching at University. Admittedly, it's not quite premiership level yet, as Strule play in Division One of the Fermanagh and Western Football League. But it's an early love of football management games that gave Guest his passion for behind-the-scenes football tactics. "Since I was very young I’ve been playing computer games like Championship Manager and Football Manager, and my dad used to buy me season tickets for Blackburn Rovers," he told the Lancashire Telegraph. "I'd always been interested in the tactical side of the game and seeing transfers of players from club to club." As a junior player himself, Guest made early links with other coaches and players, which further inspired him to pursue coaching as a career. Now he has his sights set firmly on a professional role, either nationally or internationally. "I feel that with every session I’m part of at Strule United, I’m learning more and more. I hope to one day be stood on the sidelines in a professional capacity, whether that be at Accrington Stanley or Ewood Park. As long as I keep pushing myself and continue with my coaching licences then anything is possible." So the next time your significant other / parent / pal gives you stick about games being a waste of time and money, show them this, eh? 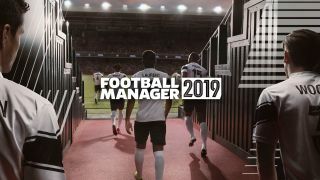 While we're on the subject of Football Manager, a recent blog has hinted at new features in Football Manager 2019. The latest iteration has secured the official Bundesliga license, which means logos, kits and player likenesses from all 36 teams in the German leagues will be present.